As the illegitimate son of a notary from Vinci, Leonardo is banned from Italian universities and trade guilds. But he soon becomes the shining star in the studio of the acclaimed Florentine artist Verrocchio. After being investigated for alleged homosexual activities, Leonardo leaves Florence in 1482 to make weapons for the prince of Milan. In Milan, he enjoys his most productive years of research and observation. By 1517, his findings will fill more than 10,000 unbound pages. The 5,000 that survive contain encoded notes with intricate diagrams on subjects ranging from helicopters and submarines to blood circulation and fossils. New York Times best-selling author Kathleen Krull is known for compelling children's biographies like Harvesting Hope, a Jane Addams Children's Book Award winner. 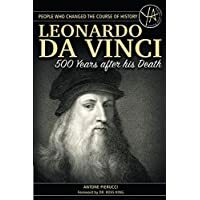 Her concise yet informative Leonardo da Vinci bio presents a vivid and highly accessible portrait of a true renaissance man. Here's another one of those "They could make it into a movie!" books that keeps you always wanting to hear just one more chapter. 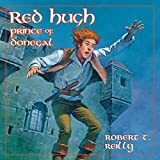 Red Hugh was a true champion for Irish liberty from Queen Elizabeth's constricting reign in the late 1580's and beyond. Hugh's capture, imprisonment, and escape from the Dublin Castle; his triumph over a blizzard and frostbite; his dramatic rescue of his family's castle; his conflict with the evil Captain Leeds; and his inexhaustible love for Ireland make this a wonderful book for the entire family. You learn an astonishing amount of Irish geography and culture while relishing this true adventure, as well. The Renaissance marked Europe's transition from medieval to modern times. Art, literature, and science flowered in the fifteenth and sixteenth centuries, while a vigorous trade with the Far East via newly developed sea routes enabled Italian merchants to supply a recently evolved middle class with materials and adornments for elaborately designed apparel.After careful research, illustrator Tom Tierney has portrayed this dynamic age by accurately rendering an amazing diversity of clothing styles. Forty-five finely detailed, ready-to color illustrations showing attifets, chopines, doublets, farthingales, houppelandes, and other elements of Renaissance garb depict: an Italian peasant couple dressed for their wedding day (c. 1450); an Italian knight in steel armor (c. 1460); an English lord and lady in riding outfits (c. 1510); children of a German royal family garbed in velvet and accompanied by a soberly dressed nanny (c. 1550); and many more outfits designed for various activities and occasions. In addition, seven plates feature dozens of examples of fashionable headgear, footwear, and hairstyles for men and women, from several stages in the flourishing of Renaissance styles.Descriptive captions accompany each handsome, ready-to-color illustration, making this a collection that will appeal to colorists as much as it will delight costume historians and designers. Before a great discovery, the Renaissance scientists had to endure long days of working in sometimes unhygienic places. You need to know these gross facts in order to develop a deeper understanding and appreciation of the work these early scientists did for the sake of knowledge. Are you ready to read the dirty truth? Then start this book today! In this art history book, we're going to meet the famous sculptor, artist and architect named Michelangelo. You probably heard his name before but this time, you're going to learn of this achievements especially his contributions to the art society worldwide. Secure a copy of this book today! Bring history to life for students in grades 5 and up using Renaissance! This 96-page book features reading selections and assessments that utilize a variety of questioning strategies. Strategies include matching, true or false, critical thinking, and constructed response. Hands-on activities, research opportunities, and mapping exercises engage students in learning about the Renaissance. For struggling readers, the book includes a downloadable version of the reading selections at a fourth- to fifth-grade reading level. This book aligns with state, national, and Canadian provincial standards. In true stories as vivid as the colors in which they painted, Jim Weiss brings to life Leonardo da Vinci, Michelangelo, Brunelleschi, Donatello and other captivating characters. Watch fierce Pope Julius II drive out invaders while supervising the painting of the Sisine Chapel, and dine in the palace of Lorenzo de Medici -swordsman, statesman and patron of the arts- as he faces treachery and turns war to peace. An unusual and thought-provoking collection of biographies that tell the story of the two great movements in European history that ushered in modern times. Many of the figures will be familiar (Da Vinci, Michelangelo, Luther) but there are some unusual and intriguing choices as well (Machiavelli, Cesare Borgia, and Michael Sattler, for example). The text covers the period in Western European history from 1300-1550, and also includes chapters on Giotto, Botticelli, Savonarola, Dürer, Erasmus, Wyclif, Hus, Calvin, Zwingli, Tyndale and Knox. Includes over 75 b&w images of the men, women and works of art that distinguish this period of history. 29 chapters, 192 pages. Renaissance & Reformation Times not only shows the essential meaning of the period, what brought about this great change in thought, and how it affected the outward experience of the peoples of Italy, Germany, Spain, France, and England, but also makes clear in what way it resembles the present. Dorothy Mills had an uncanny and unique ability to write history that is interesting and at the same time based on sound scholarship. Her direct, engaging approach is valued increasingly by the many parents in our day who are looking for reliable materials for homeschooling or home study, as well as by many private school educators. Angelico Press has undertaken to reprint the highly-prized six volumes of her historical works as part of its effort to offer texts ideally suited to the needs of a new generation of teachers and students. In a world where the quality of education has so deteriorated, may the reissue of this wonderful historical series shine as a beacon to a new generation of young (and not so young) scholars! The renaissance period is long gone but its influence can still be felt up until the present times. 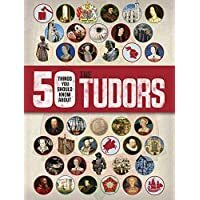 Reading the contents of this book, your child will understand more about the period and why Florence, Italy seems to be the hub of the most powerful people during this era. Be prepared for some mind-blowing questions only your child can think of. Get a copy today! The Ottoman Empire was one of the most popular empires in history. This book will discuss the many facts of the Ottoman Empire, along with the notable achievements achieved during their time. Learning about history is not just about memorizing names and dates. It's also about appreciating the events of the past. Grab a copy today! It's the period of the Vikings and wow, how interesting that time is! Here, your child will get to meet and greet some of the bravest men in history. Facts about how they lived and what their cultures and traditions are will be effectively tackled in this amazing book for children. Make sure you check out a copy today! Suitable for ages 11 to 12 years, this title helps you learn how the European Renaissance came to be. It lets you take a look inside a typical Renaissance home. It also shows how great strides were made in trade, exploration, religion, architecture, and the arts. Young Leonardo da Vinci was very curious. He would closely observe the world around him and pay great attention to details. If you look at his work, you will notice a keen sense of details. It's as if he memorized and replicated every little thing he sees. This art history lesson for kids will give you a glimpse into the curious mind of Leonardo. Grab a copy today! Scientist. Inventor. Cartographer. Painter. Engineer. Architect. All of these words describe Leonardo da Vinci, the 16th century superstar who epitomized the "Renaissance Man." Students will learn about his fascinating individual with this biography that builds critical literacy skills while students are engaged in reading high-interest content. Featuring TIME content, this purposefully leveled text was developed by Timothy Rasinski, a leading expert in reading research. The intriguing sidebars feature fun facts that challenge students to think more deeply about the topics and develop higher-order thinking. Informational text features include a table of contents, captions, bold font, an extensive glossary, and a detailed index to deepen understanding and build academic vocabulary. The Try It! culminating activity requires students to connect back to the text, and the Reader's Guide provides opportunities for additional language-development activities. Aligned with McREL, WIDA/TESOL, and state standards, this title readies students for college and career. Your child probably knows the ninja turtles but does he/she know who Leonardo, Donatello, Raphael and Michelangelo really are? In this book, your child will know the legendary painters who changed art history forever. This book is not just a treat for the eyes because there are plenty of lessons to learn from its pages too. Grab a copy today! A time of questions and new ways of thinking marked the scientific world during the Renaissance. Follow along as the greatest minds of the time make enormous leaps and bounds toward enlightened thinking. Learn how the role of a scientist evolved. See the efforts made to increase man's understanding of the natural universe. 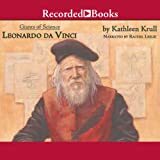 Part of the Renaissance World series, this title helps you learn all about the Age of Exploration, where brave Europeans sailed around the world in search of sea routes to Asia and India - and found much more than anticipated. It is suitable for ages 11 to 12 years. 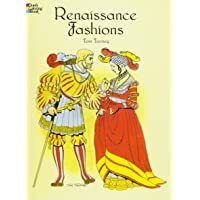 Suitable for the children of ages 11 to 12 years, this title helps you to learn how the European Renaissance came to be. It shows those most notably involved in this era and inside a typical Renaissance home. It presents the great strides that were made in trade, exploration, religion, architecture, and the arts. This book must be one of the best references in the science's invention department of the renaissance. Featuring three of the greatest men on history, this book is your lightweight partner in the academe and even your career life. You need this and you know that. Get a copy of this book now. Medieval Times to Today (World Explorer Series) A great teaching tool. A quick internet search will yield results of Leonardo da Vinci's legendary paintings, the Mona Lisa and the Last Supper, and you might even catch a glimpse of his well-known sketches of machines, human bodies, and animals. However, there's so much more to da Vinci than his paintings and drawings. This 16th-century Italian man embodied the Renaissance spirit he was intensely interested in everyone and everything. His curiosity spanned every discipline, from geometry to anatomy to the link between art and science. 500 years ago was a time of insight, of investigation, and in this sense, da Vinci fit in perfectly. However, in another sense, he didn't belong at all. He was a loner living in his own world. An illegitimate child with 17 half-siblings, Leonardo also shrouded himself in secrecy. He wrote in a mirror script, meaning that you could only understand what he had written by holding it up to a mirror. He believed that we all have potential to do amazing things, but he also had lots of unfinished projects and struggled with lifelong self-doubt. Delve in to these pages to find out why Leonardo di Ser Piero d Antonio di Ser Piero di Ser Guido da Vinci (yes, this was his full name) was as mysterious as his painting of Mona Lisa's famous smile.